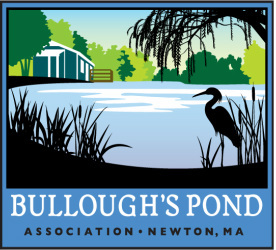 The Bulloughs Pond Association was founded in 1983 and has held an annual meeting and regularly-scheduled volunteer pond clean-up days every year since that time. If you would like to attend our annual meeting, we would be delighted to welcome you as a visitor or as a member. Learn more about our annual meetings here.